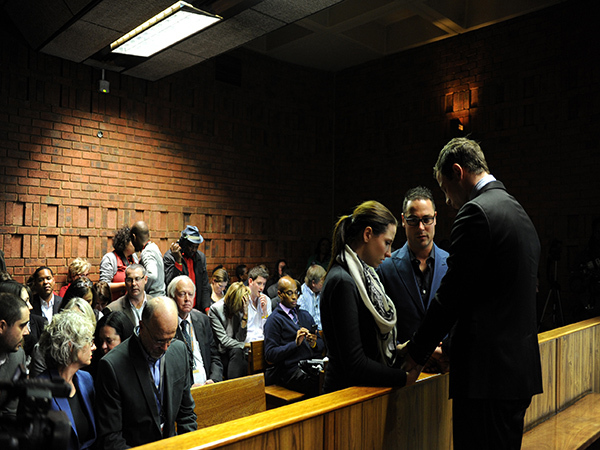 The family of paralympian Oscar Pistorius will support him through his trial, his uncle Arnold Pistorius said. "We love Oscar, and believe in him, and will be standing by him throughout the coming trial," he said in a statement. He said the family and the legal team, would not be distracted by issues that have no bearing on, or relevance to, the legal process that must be allowed to unfold. "We will not be commenting on any media reports, nor will we be engaging the press on any issues that belong in court. The time for public commentary is over. The focus is now entirely on a very serious trial that is set to start this Monday." Paralympian Oscar Pistoriusis is accused of murdering his girlfriend Reeva Steenkamp on February 14 last year. His murder trial begins in the High Court in Pretoria on Monday and is expected to run until March 20.